D.C. is getting its first Michelin restaurant guide. Why not Boston? 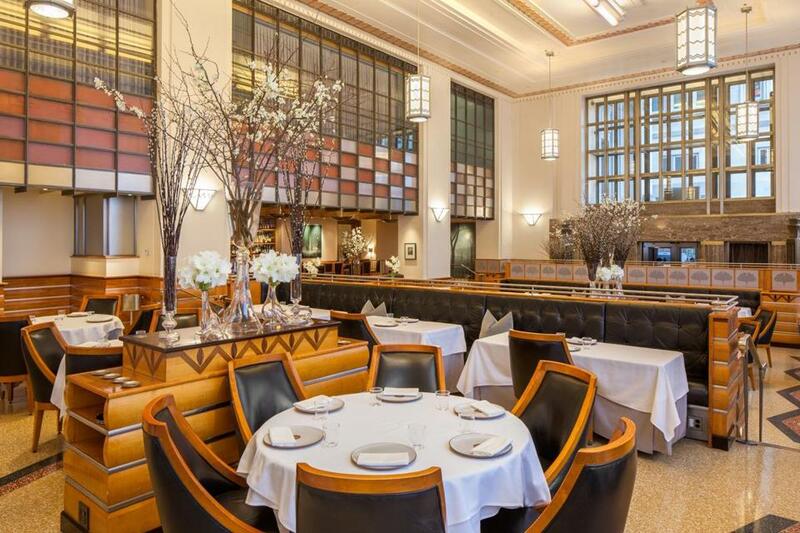 Eleven Madison Park in New York. The sweat beading on the foreheads of chefs all over the nation’s capital this week may not be from the flames beneath their saucepans, but from the stars hanging over their heads. The arrival on Thursday of the first Washington, D.C., edition of the prestigious Michelin Guide, with its fickle three-star rating system, has many a high-end kitchen on edge. It has been the industry’s international gold standard for more than a century, and a single star on its three-star scale can make or break a restaurant. For a city whose burgeoning dining scene has begun to draw national notice, Michelin’s entry is enough to put D.C. on the culinary map once and for all. But Washington isn’t New York, Chicago, or San Francisco, the other three American cities where Michelin currently publishes. And if D.C. is worthy, what about Boston? Our culinary scene is exploding, too. We’d like to be on a map that doesn’t involve cannoli or centuries-old cemeteries or Paul Revere’s house. Charlie Foster, executive chef at Concord’s Woods Hill Table who previously worked in high-end kitchens in Europe, New York, and Boston, expressed some surprise that Washington was selected before Boston. So what does an old port town have to do to get on that particular map? Should we be on it already? The answer is as complicated as the elaborate tasting menus at the dozen or so three-star restaurants in America. Created by the French tire company in 1900 as an enticement for motorists to tour the countryside on Michelin rubber, the guide soon became the standard by which the finest restaurants in France and then around Europe were measured. Now active around the world, Michelin inspectors work in total secrecy, visiting restaurants on the company’s dime and filing detailed reports on a mysterious variety of criteria. Chefs scratch and claw for another star; losing one can be devastating. Michelin would deem the city’s now-vibrant dining scene worthy of coverage was an affirmation. All over the region, new restaurants are sprouting up, including some 90 opening just this summer. The city is home to what Sietsema calls the country’s best tapas bar, Jaleo, and best Filipino restaurant, Bad Saint — the latter of which last week earned Michelin’s Bib Gourmand rating, which honors lower-priced, less-formal restaurants. (D.C.’s Bib Gourmand restaurants were announced ahead of the guide’s publication.) Sietsema thinks so highly of Bad Saint that the award felt like a slight. “To lump the gem, as gracious as it is luscious, in this category is to deprive it of a star or more,” Sietsema wrote in a story last week, in which he questioned whether Michelin’s evaluation team included a single local. And relatively new gastronomic temples in Washington rival the ambition and opulence of Chicago’s Alinea or New York’s Eleven Madison Park (both possessing three Michelin stars). At Pineapple and Pearls, diners reserve tickets at $250 a head for an 18-course tasting menu complete with beverage pairings. At famed Spanish chef Jose Andres’s Minibar, where “corn on the cob” is constructed out of meringue and another dish is served in a section of rain gutter, the wildly inventive 30ish-course show can cost upward of $1,200 for two people. That’s the kind of restaurant — the kind of experience, to borrow irritating industry jargon — that traditionally draws the attention of Michelin. A Michelin spokesman said the guide’s international director, Michael Ellis, was unavailable for an interview last week. Addison said he spends two to three weeks of every month traveling to review restaurants around North America. Last year, he deemed Los Angeles — a city Michelin abandoned a few years ago — the country’s most exciting restaurant scene. But the San Francisco area, where Michelin awarded three-star ratings to five restaurants, offers the country’s best top-end dining, Addison said. That’s also where Boston, despite its glut of wonderful restaurants, falls short. With very few notable exceptions — longtime Back Bay gem L’Espalier, Barbara Lynch’s Menton — Boston-area restaurants aren’t set up to seek Michelin glory at its highest levels. And many places that might have even harbored that kind of ambition, like a Clio or an Aujourd’hui, are now shuttered. “I think there aren’t enough of those types of restaurants to make it worth Michelin’s time in their eyes,” said Addison. If anything, the very qualities that Michelin has traditionally held most dear — manicured perfection in the dining room, intensely formal service, and precise, refined elegance on the plate — are areas where comparatively few Boston chefs and restaurateurs appear interested in focusing their resources and attention. Berry has taken note of Michelin’s evolution in recent years, an apparent effort to change along with a dining culture that is somewhat more egalitarian in outlook. White tablecloths, a small army of servers, and an abundance of expensive cutlery are not the standards by which today’s — and more importantly tomorrow’s — diners make their decisions, in Boston or anywhere else. Many Boston millennials are food obsessed, said Fleming, who also writes about local restaurants for WGBH (and is a Globe correspondent). But few have the money to chase Michelin stars — and don’t much care about the lofty service standards and expensive buildouts that earning such stars often require. So, by the standards of Michelin’s past, it’s quite possible that Boston doesn’t measure up. It’s hard to imagine a Michelin guide featuring a couple dozen one-star restaurants, one or two that earn a second star, and none sniffing three. Why would they bother? But if it’s the future of fine dining that Michelin is after? A city where tomorrow’s diners seek out middle-way restaurants for meals that blow their minds but not their bank accounts? Michelin might want to add Boston to the menu.